Reproduced with permission from Regnery Publishing. Inspired by Michael Foley’s new book and the holy days he describes, we’ve rounded up our own guide to raising a glass (or five) to the saints this month. 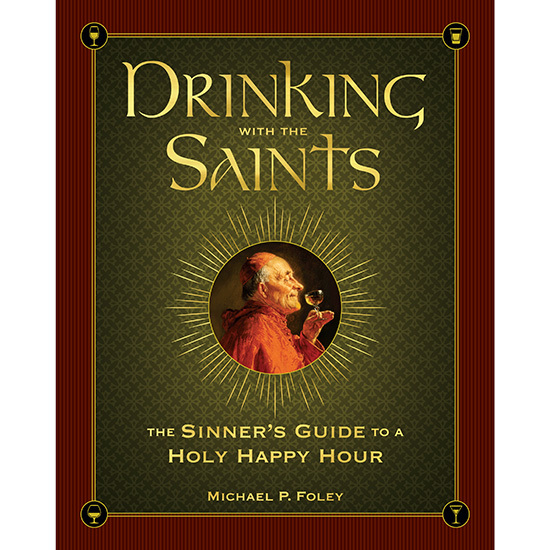 If you went to Catholic school, grew up around people who hung saints' medals from rearview mirrors and are part of a family where everyone is named for a saint or someone in the Bible, then Drinking with the Saints: The Sinner's Guide to a Holy Happy Hour by Michael Foley might speak to you. Even if you can't check any of those boxes, you've probably imbibed on St. Patrick's Day, eaten pizza at a feast of San Gennaro somewhere or, as you sipped a Trappist brew, uttered a quiet thank you to the monks who perfected the formula in a monastery years ago. With Foley's book, you can celebrate a saint nearly every day—or just jump ahead to a recipe inspired by your namesake. Better yet, blow it out on All Saints' Day with a mix of your favorites. Today is the feast day of St. Barnabas, who was known as the patron saint of sidekicks. So Foley recommends phoning a friend and mixing up a batch of sidecars. June 14 St. Basil the Great started an anti-bullying campaign around the year 350. Try a Sweet Basil cocktail in his honor. June 15 St. Landelinus was a former thief who converted to Christianity and made amends for his life of crime. Why not pour out a Half Sinner, Half Saint for him? June 24 St. John the Baptist was reported to enjoy a diet of locusts and wild honey. In honor of his day, we recommend drinking a Bee's Knees with honey syrup. June 29 To honor St. Peter—the sentry in the sky, the keeper of the Pearly Gates—hoist a Silver Lining.